Exact formulas for making hundreds of blends for skin and hair care, relief of stress and pre-menstrual syndrome, baby oils and powders, cellulite reduction, massage oils, and more. This book examines the spiritual causes of disease and methods of alternative healing, both with and without the use of natural medicines and spiritual counseling. The author discusses herbs taken internally as well as the use of Tibetan incenses and Native American smudges (herbal aromatherapies) for serious chronic conditions such as cancer and other immune compromising disorders. For both patients and practitioners. Essesntial oils were humankind's first medicine, mentioned in the Bible and in ancient Egyptian hieroglyphics. These oils are powerful healing agents that detoxify the blood and have been effective in the treatment of diseases such as Alzheimer's, Parkinson's and multiple sclerosis. Use this handy A-Z book to find the essential oil combinations that are most beneficial for a variety of illnesses and physical problems. Charmingly illustrated by Donna Ingemanson. In Aromatherapy Anointing Oils, Joni Keim Loughran and Ruah Bull lead the reader through the world of anointing, with its essence â€” the oils â€” as their focus. They profile nearly 50 essential oils, explain why certain oils are well suited for anointing, and offer different approaches for applying oil to the body â€” whether for everyday, special occasions, or celebrations. They also show how to create a sacred space for anointing and how to make anointing oils and sprays. This aromatherapy guide synthesizes Eastern and Western approaches to restoring emotional and mental health by using the healing properties of 40 essential oils. 159 illustrations, 77 in color. "Journeys need guides, and Aromatherapy for the Soul is such a guide - to the spiritual aromatic adventure." -from the introduction Fragrances, with their intriguing ability to evoke emotions, memories, and visions, have played an important role in the world's spiritual traditions since the dawn of time. Drawn from the essential oils of plants, they serve as an earthly connection with the divine. In Aromatherapy for the Soul: Healing the Spirit with Fragrance and Essential Oils, world-renowned aromatherapist Valerie Ann Worwood draws equally upon the pioneering research of eminent scientists and the insights of leading spiritual teachers. With detailed explanations of more than seventy essential oils, this extraordinary book provides step-by-step guidance for those wanting to use essential oils to enrich their spiritual journey. Extracted from flowers and herbs, aromatic essential oils have been used for centuries to heal and beautify, offering a gentle yet effective alternative in the treatment of illness, stress, and imbalance. Author Maggie Tisserand brings a wealth of practical experience to this newly revised best-selling classic on aromatherapy, focusing on the concerns particular to women. She shows how the unique properties of specific essences can be used to maintain healthy hair and skin, ease minor health complaints, and assist in treating more serious problems. Learn how essential oils can benefit both mind and body. Whether you are an aromatherapist or an astrologer, this book will set you on the road to bringing these two ancient arts together. 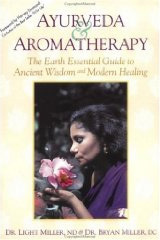 This book integrates the ancient healing science of Ayurveda with the modern development of Aromatherapy. The authors have long experience in clinical practice and have created a phenomenal resource for anyone who wants to use Ayurveda or Aromatherapy for self-health or as a practitioner. The body-type paradigm of Ayurveda is dovetailed nicely with the aromatherapeutic actions of essential oils. This book will carry you away to a world of exquisite, enchanting scents. Various fragrances affect our moods, may stimulate and excite us, bring us calmness and harmony, bewitch and inspire or even heal. Since ancient times essential oils and incense have been employed in healing, for seduction and for religious rituals. Today we are as captivated by the magic of lovely scents and as irresistibly moved by them as ever. The effects that essential oils have may vary greatly. This book particularly addresses their subtle influences, but also presents and describes the plants from which they are obtained. This brisk tour of essential oils (or concentrated plant essences) and explores their many applications and uses. Author Susan Worwood begins with a brief history of oils and aromatherapy, which describes how the practice of aromatherapy shifted from having New Age connotations to being accepted in popular culture. The reader then learns how essential oils work--from their antibiotic, antiviral, and antifungal properties to their mind/body/spiritual connection. The guide provides tips on buying and storing oils and includes useful one-page profiles of the plants that produce the oils, from basil to yuzu. The book's exhaustive "how to use" list describes how to make face masks, foot baths, gargles, diffusers, and more. The list also teaches us that there are inexpensive, natural treatments for many common maladies.This book offers a great crash course in essential oils and aromatherapy is a useful reference handbook. Holistic Aromatherapy for Animals is a reliable and trustworthy holistic aromatherapy sourcebook for pet owners, aromatherapy lovers and all petcare-related professionals. It provides the soundest and safest advice, recipes and supported information available. Since no book of this magnitude and focus currently exists, it will be a widely used resource and will answer a growing demand for information about this exciting and aromatic topic. Jeanne Rose draws together here the culmination of twenty-five years of experience and research in the art and practice of aromatherapy. Her information is invaluable to those familiar with the subject as well as the layman. There is a rapidly growing interest in aromatherapy in this country, and Jeanne"s book is certain to become the ultimate "bible" in this field. She has made aromatherapy easy to understand, and fun to learn. Edwards shares 13 years of experience to create the most comprehensive aromatherapy guide available including profiles of essential oils, instructions for blending and using them, and information on careers in aromatherapy. A complete guide to the interesting and varied world of Aromatherapy. Expert aromatherapist Joanna Hoare covers every aspect of this ancient healing practice, including its long and varied history, its scientific basis, and a comprehensive list of oils and treatable ailments. There is also advice on how to establish your own practice and how to develop as a professional aromatherapist. 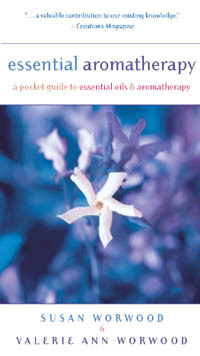 Packed full of handy tips and hints, this is a must-have book for anyone who wants the whole story on aromatherapy. The lavender plant has been recognized for centuries, and since time immemorial man has used lavender to relax, soothe and refresh. The scent of lavender, in a way, has permeated whole regions of Europe, contributing to their specialcharacter, and it has dominated perfumery for most of its history. To this very day lavender has remained one of the most familiar, popular and utilized of allfragrances. This book introduces you to the delightful and enticing secrets ofthis plant and its essence, demonstrating its healing power, while alsofamiliarizing you with its long and fascinating history and presenting to youthe places and people involved in its cultivation.